Two words to describe the new TriMax 35 KB wheels are “lightness” and “responsiveness”. 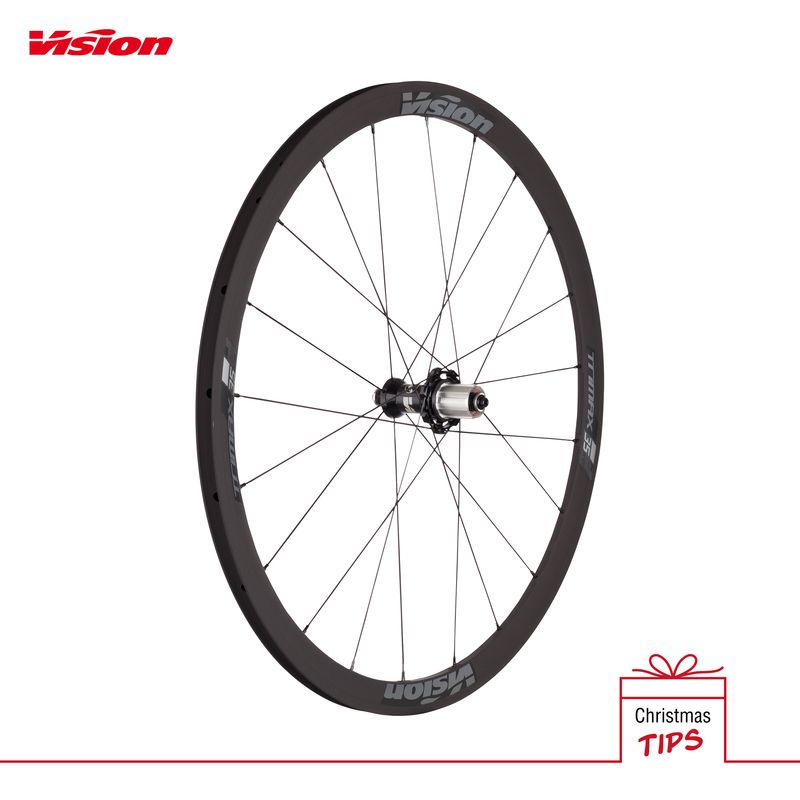 This alloy wheelset shares some similarities with the Vision carbon wheels, including using the same hub. Furthermore, the P.E.O. coating ultimately strengthens resistance to both the rim and the brake track. This wheelset can be used with standard brake pads and weighs only 1,530g. Thanks to these features, the new TriMax 35 KB wheelset is an ideal choice for both climbing and mixed terrain! If it’s been a while since you’ve eaten or if you’re heading into a particularly long climb, give yourself a shot of fuel at the base before you start. It’s far easier to take a bite of a banana or energy bar when you’re rolling easy on the relative flats than once you’re borderline hypoxic and seeing spots halfway up. No bonking allowed. As you look to power through the climb, it may be tempting to get out of the saddle when the gradient gets tough and steep. If you do this, you will ultimately see your energy and glycogen stores deplete faster. Studies show standing is the best done when gradients go above 10 percent. Standing on the pedals does help you deliver up to 30 percent more power and engage other leg muscle groups, but keep it to short efforts. Also be sure to avoid rocking on the bike as this will waste energy. When the grade gets so steep that you’re sliding into standstill (and toppling) territory, tuck your elbows into your sides, dip your torso toward the bars and gently, but firmly, pull back on the bars with every downstroke. This lets you transfer power from your upper body through your core and into your legs to assist you in forward progress. Rather than attacking at the foot the climb and tiring yourself out before you reach the summit, dial back your pace until it feels easier. You would ideally want to be just below your lactate threshold or FTP. You can then begin to ramp up your speed as you get closer to the top and attack over the summit. Make sure your bike is ready for climbing and if not, prepare your machine for your ride. 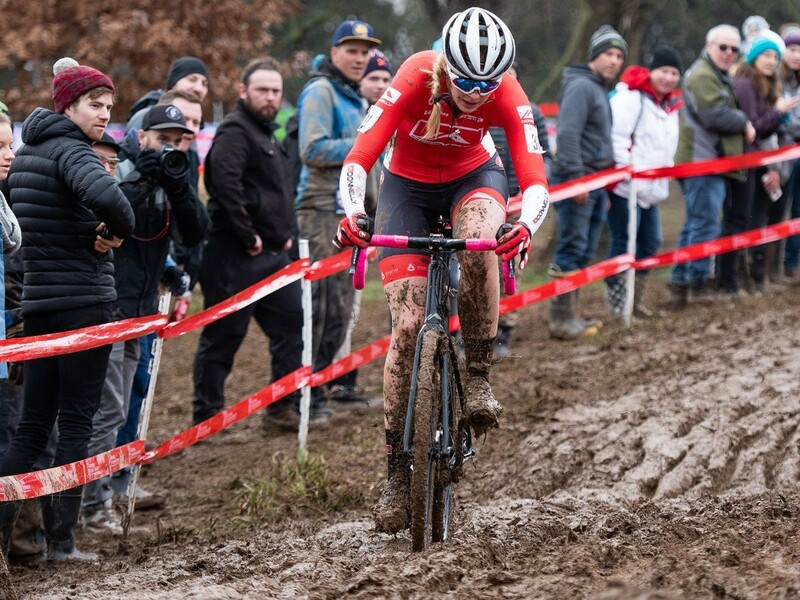 Check that the drivetrain and shifting are in efficient working order and your tires have the right pressure to tackle your given climb. Gearing on a bike can be important, depending on the type of climb you are doing. Swapping the size of your cassette or chain ring set on your road bike can make a really big difference. A smaller chain ring set or even a compact crankset with a wider ratio cassette will allow you to spin a gear a more easily and make the climb more comfortable.